I don’t like to throw away leftover trim, pipes, and long cutoff pieces from projects I’ve built. But storing these long pieces in my small garage shop has always been cumbersome. So I decided to take advantage of the unused space above my garage door and built the storage rack you see here. 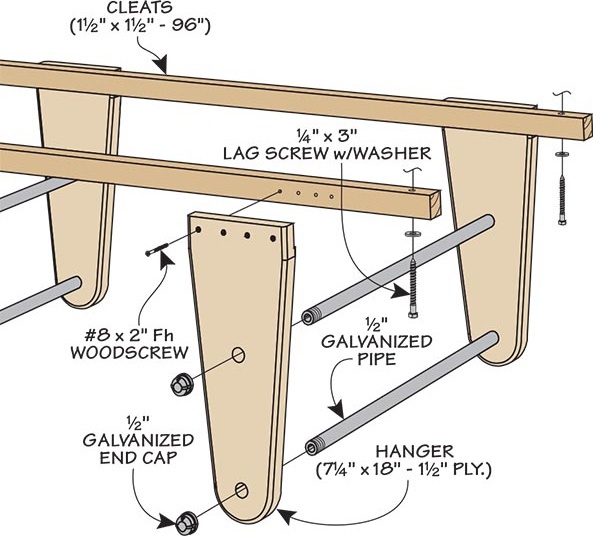 This rack is simple to build from plywood, “two-by“ stock, and galvanized pipe with end caps. I even made my rack with two levels for increased storage space and to help keep items neatly arranged. If your garage ceiling is finished like mine, start by locating the joists and screwing the cleats to the ceiling using lag screws. 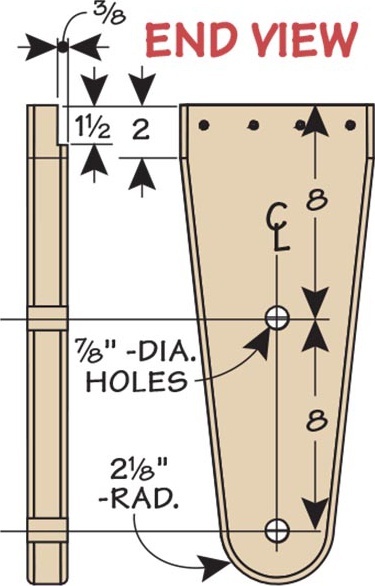 Make sure the lag screws are long enough to penetrate the joists by 11⁄2″ or more. With an end cap fastened to one end, run each pipe through a hole in one hanger and into the adjacent hanger. 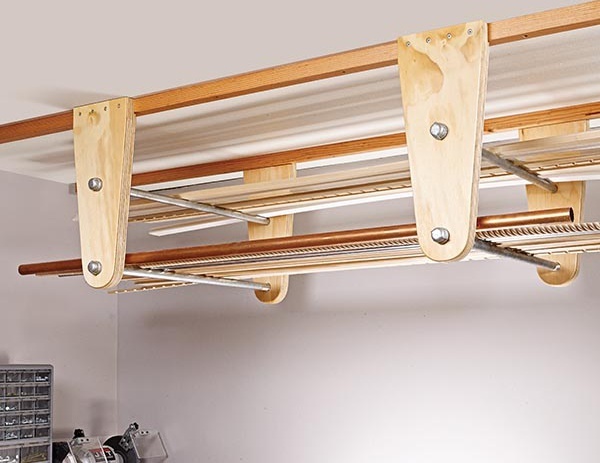 Screw the cap on the other end of the pipe, and you’re ready to start putting this storage rack to use. I used screws to secure the pipe hangers to the cleats. The hangers can be spaced closer together depending on the weight load. I designed my rack for light-duty use.